The 4th of July is a holiday that calls for the bold red, white and blue colors of the American Flag. It’s easy to find decorations in these colors if you’re having a backyard barbecue or pool party and want to create a festive atmosphere, but it is difficult to find food in these colors in foods. 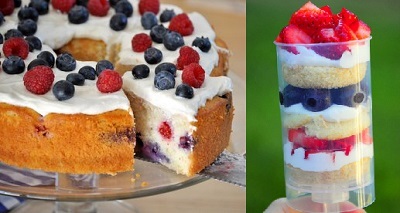 Fortunately, while a little bit of food coloring can help give a dessert a patriotic look easily, you can find these colors in fruits that celebrate the summer.Â A selection of fresh fruit desserts made with red strawberries, raspberries and cherries alongside desserts made with blueberries can capture the red, white and blue look of the holiday with no food coloring needed. The added bonus is that you will also be enjoying some of the best berries of the year when they are at the peak of their seasons! A Mixed Berry and Mascarpone TartÂ is an easy to make tart the features a no-bake filling and is studded with rows of fresh fruit. 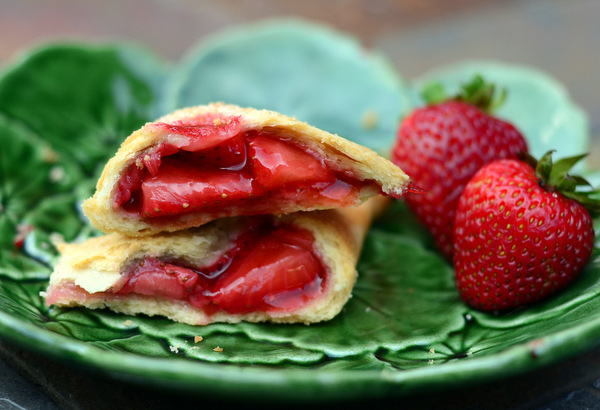 You can use any fruit of your choice, but berries of all colors make the tart look absolutely stunning. Strawberry Shortcakes are a common summer dessert, but they are not the only fruit that can make a great shortcake. Double Blueberry ShortcakesÂ feature blueberry shortcakes and are filled with whipped cream and more freshÂ Â berries. Blueberry Pudding CakeÂ is similar to a fruit cobbler, but with a thicker layer of berries at the bottom that takes on a sauce-like consistency as the cake bakes. For blueberry fans, this is dangerously addictive.